I’ve been pretty lax in processing my images. This is one I took at a birthday party my son went to at a local gymnastics academy. You can rent the facility for a few hours and the kids get to run rampant on the equipment like the trampolines and a long bouncing track that ends in a pit of foam blocks. The kids absolutely love it. 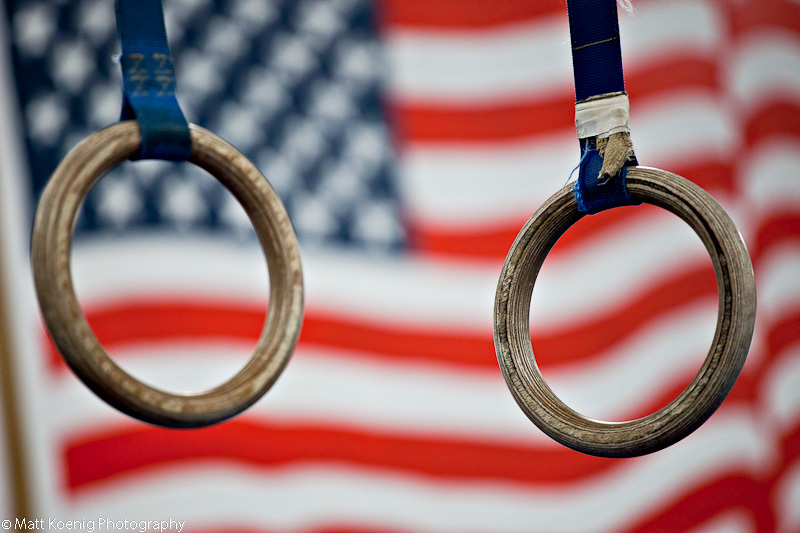 On the wall of the gym there was a large American flag painted and I thought these rings framed against the backdrop of that big red white and blue flag made a nice image.